One or more photo(s) has been virtually staged. 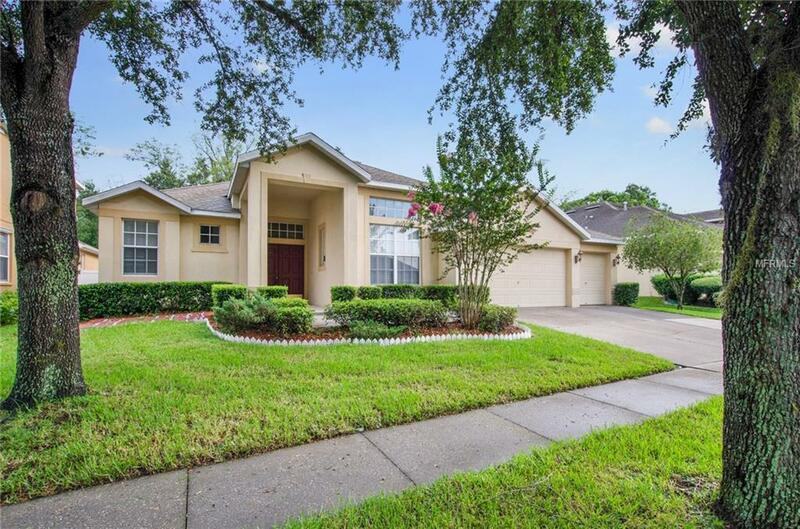 GATED COMMUNITY IN VALRICO. All brand new kitchen cabinets, bathroom cabinets, brand new carpet, base-boards and interior paint. 5-Bed, 3.5 Bath, 3-car garage with 2,887 square feet contained on one level with no stairs. The kitchen overlooks the family room with expansive Corian counter tops, stainless steel appliances with a 5- burner gas stove, beautiful wood cabinets and ample storage. Large master bedroom has his and her walk-in closets, his and her sinks, garden tub and separate glass enclosed shower. There is a huge screened in porch with a completely private back yard enclosed by hedges and a fence. A full "pool bath is connected to the back of the home for a possible pool. Whole house water softener, new water heater (2 months old), Samsung kitchen appliances, separate A/C for the Master Bedroom. Close to SR 60, the crosstown and I 75 providing access to Downtown Tampa and MacDill.